Below is the program and routines of a typical day at St Mary’s ECEC. 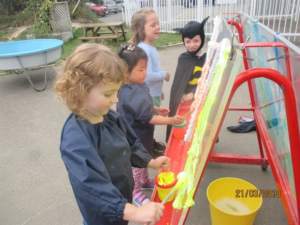 Individual and group planning dictate activities and experiences the children experience throughout each day. Outings into the community complement the program. All teachers and staff undergo ongoing professional development so their own knowledge is always current and takes into account any new issues, trends and research in the field of early childhood education and care. 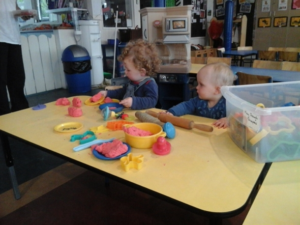 Arrival, settling and Free play This centre is set up in different curriculum areas, covering a large variety of activities and experiences. Curriculum areas include: art, drama, construction, music, cooking, manipulative, literacy, numeracy, math’s, science, and technology. We have easy access to both the indoor and outdoor environments. Children choose where and how they interact with the environment. Teachers work alongside children guiding them and extending their knowledge by scaffolding their learning. 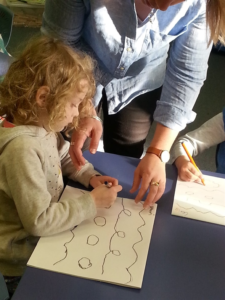 Our curriculum is based on Te Whāriki, the New Zealand early childhood education curriculum. 10 – 10:20 Morning Tea A healthy and nutritious menu is displayed at front door. A healthy and nutritious menu is displayed at front door. Children are assigned to groups according to their ages or levels of development. A structured program that has planned by their profile teachers. 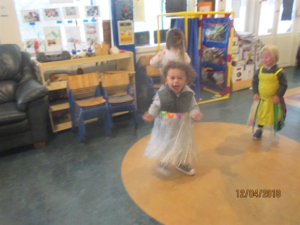 Other children are free to play and interact where ever they want to. When a child is 4-year-old their profile teachers, plan experiences around going to school. 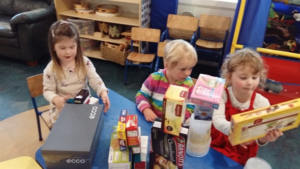 Our Transition to School activities also help children become more independent and confident with other people and familiar with the new environment that they will find in the school. We may be able to take a child to some of their school visits if they’ll be going to a school nearby, and will do this in conjunction with their parents. St Mary’s church and vicarage. We also walk around the block, exploring nature and the community. News has photos and information about recent outings.